Anthem: "Jaya Bharata Jananiya Tanujate"
"(Victory To You Mother Karnataka)"
Karnataka is a state in the south western region of India. It was formed on 1 November 1956, with the passage of the States Reorganisation Act. Originally known as the State of Mysore, it was renamed Karnataka in 1973. The state corresponds to the Carnatic region. The capital and largest city is Bangalore (Bengaluru). Karnataka is bordered by the Arabian Sea to the west, Goa to the northwest, Maharashtra to the north, Telangana to the northeast, Andhra Pradesh to the east, Tamil Nadu to the southeast, and Kerala to the south. The state covers an area of 191,976 square kilometres (74,122 sq mi), or 5.83 percent of the total geographical area of India. It is the seventh largest Indian state by area. With 61,130,704 inhabitants at the 2011 census, Karnataka is the eighth largest state by population, comprising 30 districts. Kannada, one of the classical languages of India, is the most widely spoken and official language of the state. After India's independence, the Maharaja, Jayachamarajendra Wodeyar, allowed his kingdom's accession to India. In 1950, Mysore became an Indian state of the same name; the former Maharaja served as its Rajpramukh (head of state) until 1975. Following the long-standing demand of the Ekikarana Movement, Kodagu- and Kannada-speaking regions from the adjoining states of Madras, Hyderabad and Bombay were incorporated into the Mysore state, under the States Reorganisation Act of 1956. The thus expanded state was renamed Karnataka, seventeen years later, in 1973. In the early 1900s through the post-independence era, industrial visionaries such as Sir Mokshagundam Visvesvarayya, born in Muddenahalli, Chikballapur district, played an important role in the development of Karnataka's strong manufacturing and industrial base. Karnataka is the manufacturing hub for some of the largest public sector industries in India. Many of India's premier science and technology research centres are also headquartered in Karnataka. The state has also begun to invest heavily in solar power centred on the Pavagada Solar Park. As of December 2017, the state has installed an estimated 2.2 gigwatts of block solar panelling and in January 2018 announced a tender to generate a further 1.2 gigawatts in the coming years. Since the 1980s, Karnataka has emerged as the pan-Indian leader in the field of IT (information technology). In 2007, there were nearly 2,000 firms operating in Karnataka. The Nandi Hills area in the outskirts of Devanahalli is the site of the upcoming $22 billion, 50 square kilometre BIAL IT Investment Region, one of the largest infrastructure projects in the history of Karnataka. 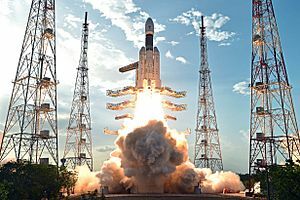 All this has earned the state capital, Bangalore, the sobriquet Silicon Valley of India. Karnataka also leads the nation in biotechnology. The state accounts for 75% of India's floriculture, an upcoming industry which supplies flowers and ornamental plants worldwide. A majority of the silk industry in India is headquartered in Karnataka and the state government intends to invest in a "Silk City" at Muddenahalli, near Bangalore International Airport. Karnataka also has a special place in the world of Indian classical music, with both Karnataka (Carnatic) and Hindustani styles finding place in the state, and Karnataka has produced a number of stalwarts in both styles. The Haridasa movement of the sixteenth century contributed significantly to the development of Karnataka (Carnatic) music as a performing art form. Gamaka is another classical music genre based on Carnatic music that is practised in Karnataka. 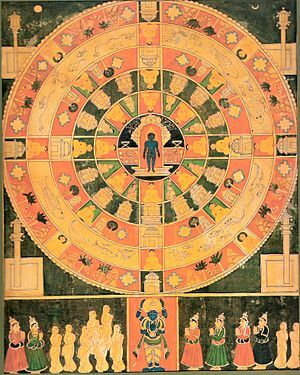 The Mysore school of painting is an organisation in Karnataka dedicated to promoting painting, mainly in the Mysore painting style. Saree is the traditional dress of women in Karnataka. Dhoti, known as Panche in Karnataka, is the traditional attire of men. Shirt, Trousers and Salwar kameez are widely worn in Urban areas. Mysore Peta is the traditional headgear of southern Karnataka, while the pagadi or pataga is preferred in the northern areas of the state. Rice and Ragi form the staple food in South Karnataka, whereas Jolada rotti, Sorghum is staple to North Karnataka. Among sweets, Mysore Pak, Karadantu of Gokak and Amingad, Belgaavi Kunda and Dharwad pedha are popular. Apart from this, coastal Karnataka and Kodagu have distinctive cuisines of their own. Udupi cuisine of coastal Karnataka is popular all over India. By virtue of its varied geography and long history, Karnataka hosts numerous spots of interest for tourists. 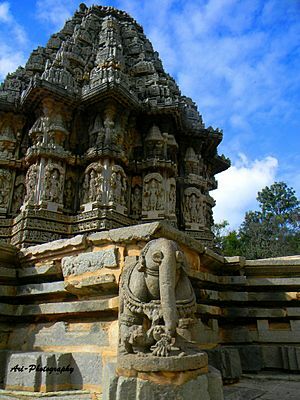 There is an array of ancient sculptured temples, modern cities, scenic hill ranges, forests and beaches. Karnataka has been ranked as the fourth most popular destination for tourism among the states of India. Karnataka has the second highest number of nationally protected monuments in India, in addition to 752 monuments protected by the State Directorate of Archaeology and Museums. Another 25,000 monuments are yet to receive protection. The districts of the Western Ghats and the southern districts of the state have popular eco-tourism locations. Karnataka has 25 wildlife sanctuaries and five national parks. Popular among them are Bandipur National Park, Bannerghatta National Park and Nagarhole National Park. The ruins of the Vijayanagara Empire at Hampi and the monuments of Pattadakal are on the list of UNESCO's World Heritage Sites. 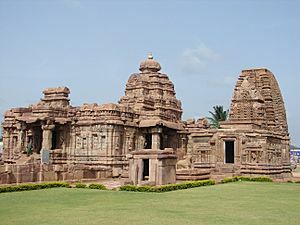 The cave temples at Badami and the rock-cut temples at Aihole representing the Badami Chalukyan style of architecture are also popular tourist destinations. The Hoysala temples at Belur and Halebidu, which were built with Chloritic schist (soapstone) are proposed UNESCO World Heritage sites. The Gol Gumbaz and Ibrahim Rauza are famous examples of the Deccan Sultanate style of architecture. The monolith of Gomateshwara Bahubali at Shravanabelagola is the tallest sculpted monolith in the world, attracting tens of thousands of pilgrims during the Mahamastakabhisheka festival. The waterfalls of Karnataka and Kudremukh are considered by some to be among the "1001 Natural Wonders of the World". Jog Falls is India's tallest single-tiered waterfall with Gokak Falls, Unchalli Falls, Magod Falls, Abbey Falls and Shivanasamudra Falls among other popular waterfalls. Several popular beaches dot the coastline. 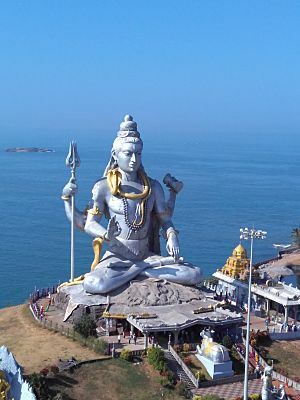 In addition, Karnataka is home to several places of religious importance. Several Hindu temples are found in northern parts of the state. Shravanabelagola, Mudabidri and Karkala are famous for Jain history and monuments. The Shettihalli Rosary Church near Shettihalli, an example of French colonial Gothic architecture, is a rare example of a Christian ruin, is a popular tourist site. Recently Karnataka has emerged as a center of health care tourism. Karnataka has the highest number of approved health systems and alternative therapies in India. Along with some ISO certified government-owned hospitals, private institutions which provide international-quality services have caused the health care industry to grow by 30% during 2004–05. Hospitals in Karnataka treat around 8,000 health tourists every year. Karnataka Facts for Kids. Kiddle Encyclopedia.